Designed specifically for individual clients. *Depending on the severity of concerns and goals set by both client and therapist, duration of sessions may increase or decrease. Can have options for individual sessions or shorter programs. The therapy program aims to address your concerns in a comprehensive and progressive approach. As such, single sessions are discouraged. There is an expectation of commitment, both on and off site. Living and managing chronic conditions (i.e. diabetes, hypertension, HIV, cancer, obesity, osteoporosis/osteoarthritis and other similar conditions, lupus and similar auto-immune diseases). Supporting mental health (particularly but not limited to anxiety, depression, teen and adult autism/attention deficit disorder). Supporting pregnancy and post-partum conditions. 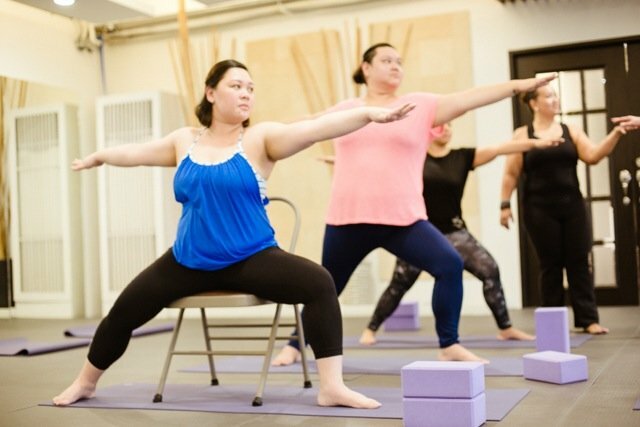 The featured group classes/courses are designed for older adults and differently-bodied individuals, helping them explore how they too can benefit from the yoga practice. Due to their personal physical and medical conditions, they may find coming to a regular class intimidating and challenging as it caters to a younger, more active crowd. People with chronic illnesses or injuries. People with medical conditions (hypertension, vertigo, diabetes and other lifestyle diseases) but are still physically mobile. People active in sports or other physical activities but are currently injured. Those who are 50 years or older who may not have any medical conditions or injuries but lead a sedentary lifestyle. 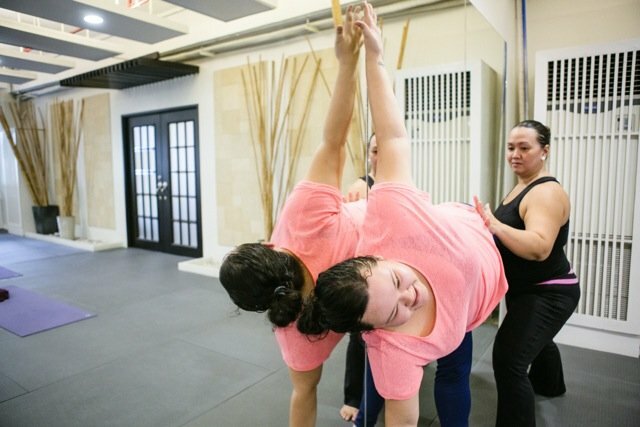 This program is designed to help practitioners discover new or alternative ways to strengthen, stabilize, and engage their bodies in order to support better posture, balance, mobility, and gait. With a strong emphasis on linking breath and movement, improved respiration and circulation can be achieved. 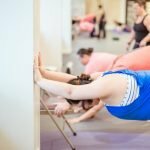 Because poses are adapted to the fitness and flexibility level of the student, a safer and more comfortable yet challenging practice can be achieved. The unique capabilities of the students will be considered in designing the classes rather than a “one-size fits all” perspective. 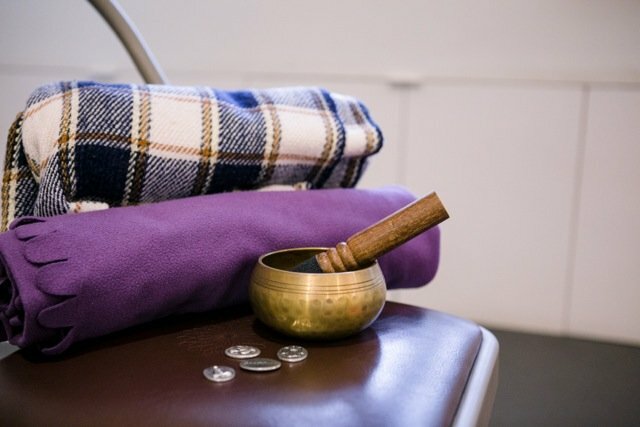 As moving to wellness does not end when the students leave the mat, the program extends to addressing day-to-day activities that will further support their path towards healing and well-being. Class size will be smaller (maximum of 12) and the group will be more focused. Classes are slower-paced and may take on a workshop-style approach in exploring the different skills and themes. Variations and modifications of yoga asana will be presented, and practical applications will be explored. 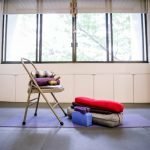 Yoga for Core Rehabilitation, Yoga for Back Support, Yoga for Shoulders, Yoga for Injury Recovery, and Yoga for Older Adults. Each run of the course offers different skill sets and goals. Classes are progressive in nature. Please watch out for class times and locations. You can email ria@yogaplus.ph to receive updates. Prenatal and Post-natal Program Ongoing. Read more. 1. Who are these programs for? Older adults whose range of motion has gotten quite limited. This will help maximize your potential and help you regain flexibility, stability and strength over time. Those who have a chronic health condition such as diabetes, heart issues, lower back pain, sciatica, etc. This will help you manage symptoms better and move towards healing. Those who are healing from an injury. This will help you recover and rebuild strength around the areas of injury. Those who want a better understanding of their personal anatomy in both a structural and functional manner. This will give you a new perspective on how to practice yoga in a more sustainable and authentic manner. 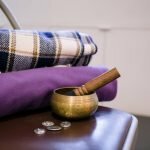 Those who want to cultivate a deeper connection with their personal practice. This will take your practice to a faster, more dynamic level. 2. What makes these programs different from a regular class? These classes are designed for YOU. Because it is a program and not just a class you can drop-in on, you are expected to come to class as scheduled. Between meetings, online support and consultation can be made available as you work on your assignments and personal therapeutic program. The class format is different. While it is still a group class, your goals are addressed on a more individual level as the class is limited to a maximum of 12 students. 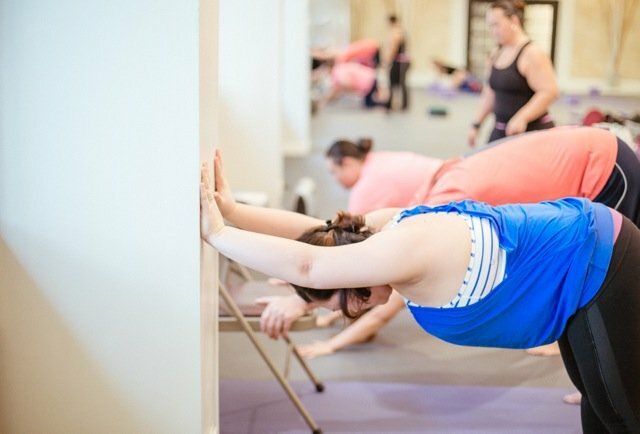 While it is a slower-paced class, it is still a dynamic practice. 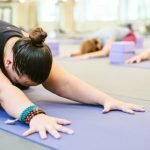 The poses in this class may feel a little different from that in a regular Flow class as we build strength, stability and range of motion around areas such as the knees, shoulders and pelvis. 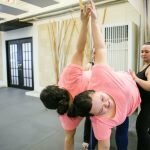 An individualized program will be created for you that you can follow through at home and then work on together with the teacher, so the program continues even outside the class. 3. Why should I take this program? 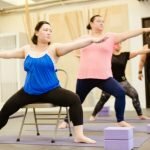 While most yoga classes are open level and have modifications for practitioners of different levels, not all can cater to your personal needs. 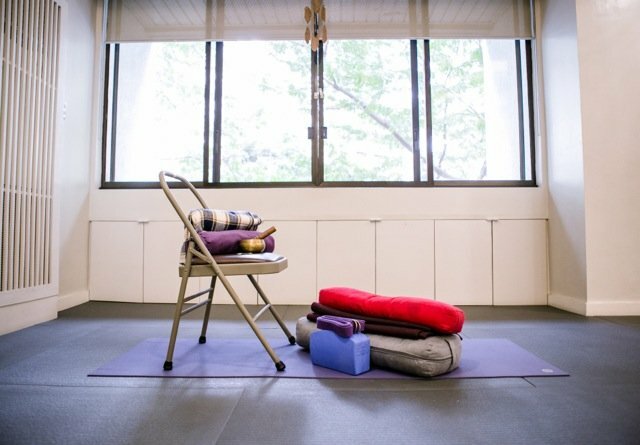 Keeping in mind that yoga is not “one-size fits all”, this class addresses your own individual concerns while working in a small group setting. Also, not all yoga teachers are equipped with the expertise and experience to work with specialized conditions. These programs are run by the Integrated Wellness Team, a group of teachers with specialized skills for targeted populations. 4. What can I expect out of the class? You can expect to work! 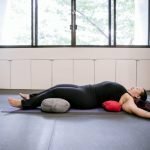 This class offers a balance of restorative postures as well as strength-building and stabilizing poses in order to reawaken sleeping muscles or parts of your body that you have not made use of for some time. You will also have a better understanding of how to work your muscles in a more meaningful and supportive manner. Note: If you have any x-rays/scans/medical referrals, please bring them on the day of scheduled appointment.